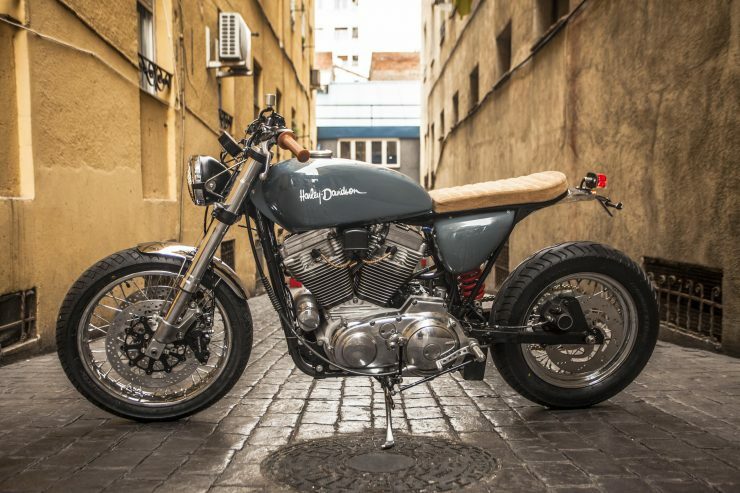 The Harley-Davidson Sportster Street Tracker is by far the best American motorcycle that isn’t actually in production. 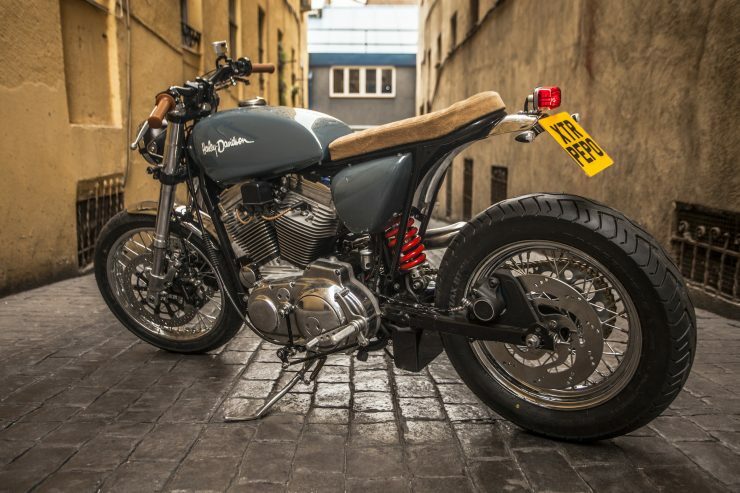 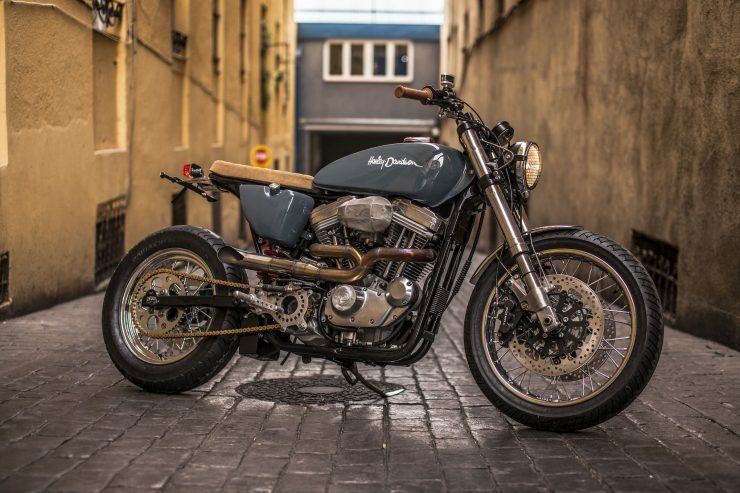 Custom motorcycle garages like XTR Pepo make light work of turning a stock Sportster into a handsome, nimble, and fast street tracker – but the Harley-Davidson factory in Milwaukee has been very slow to actually release a factory version despite huge public interest. 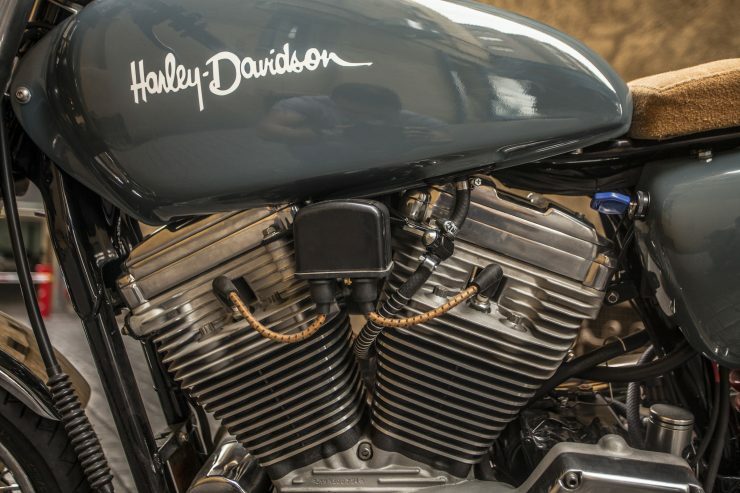 Strong rumors abound that the designers at Harley have been working feverishly on a new street tracker based on the liquid-cooled 500/750cc line, and many in the motorcycling world are waiting with baited-breath to see if it actually happens, as there’s a strong chance it could help reverse the declining fortunes of the storied American motorcycle manufacturer. 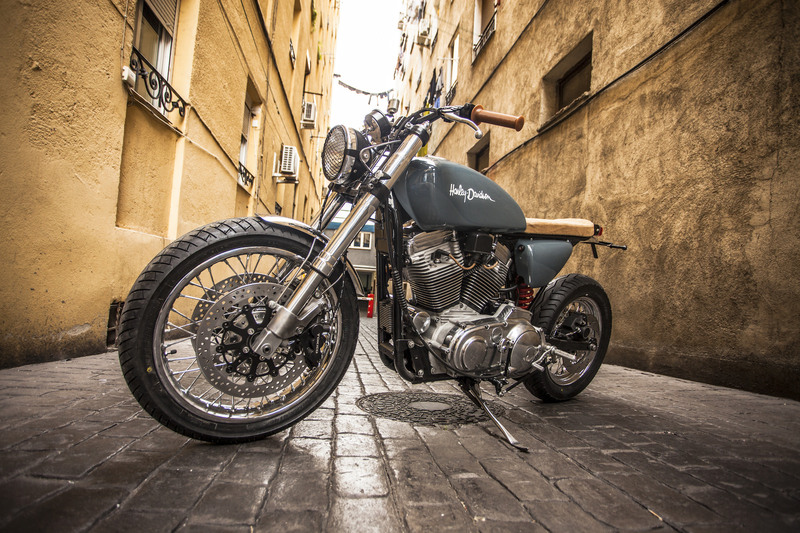 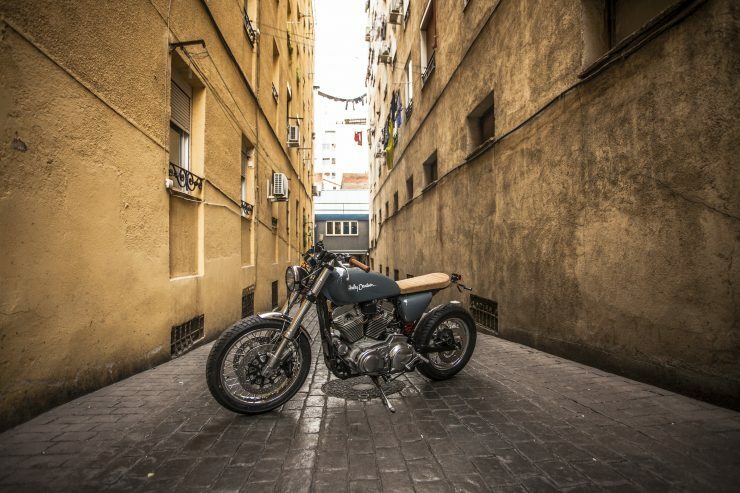 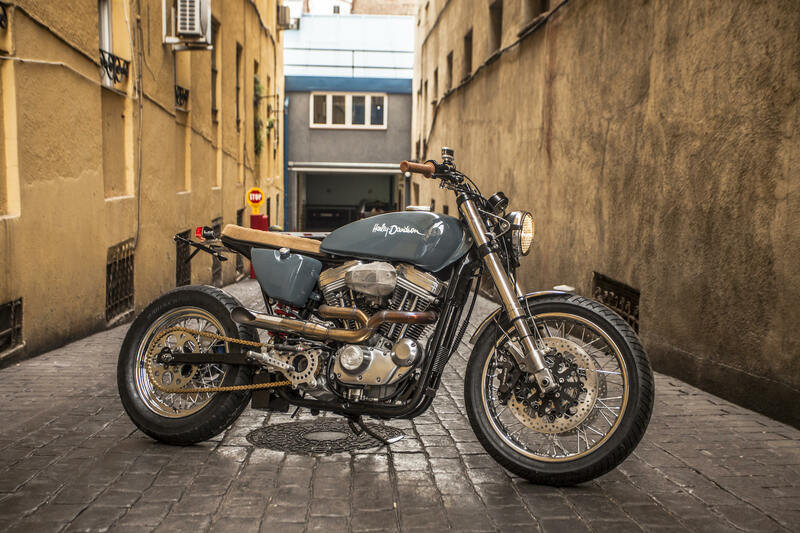 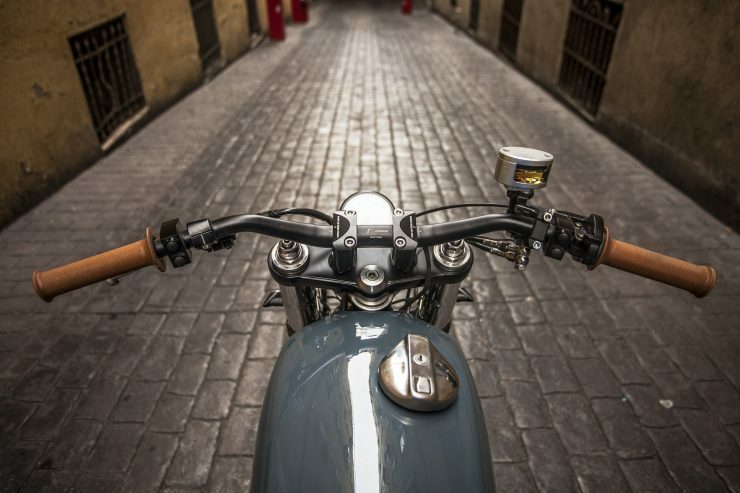 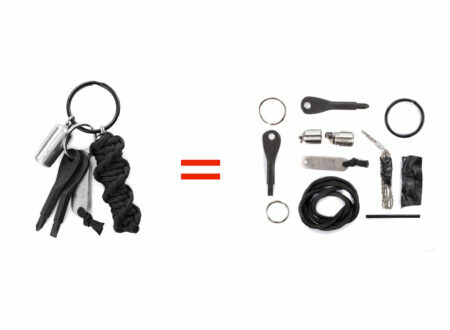 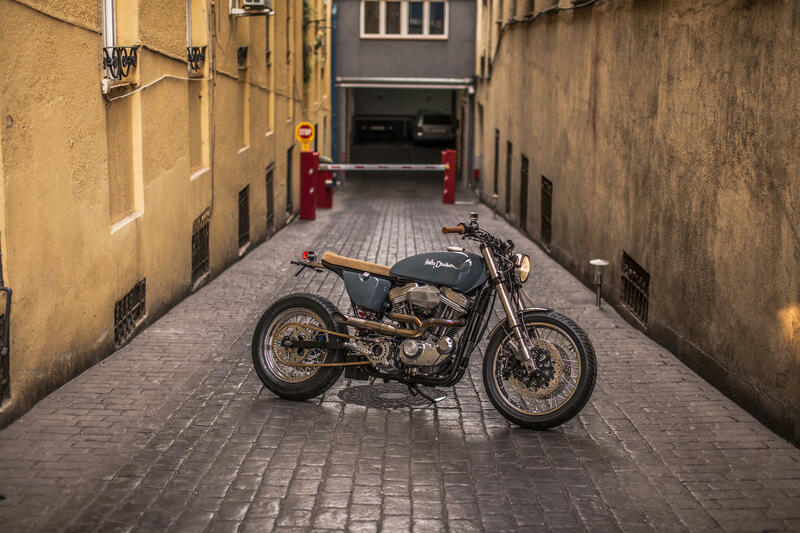 XTR Pepo is a Madrid-based garage run by Pepo Rosell, funnily enough Pepo didn’t start out as a bike builder, he’s a trained biologist who previously worked on fish farms before turning his two-wheeled hobby into a full-time business. 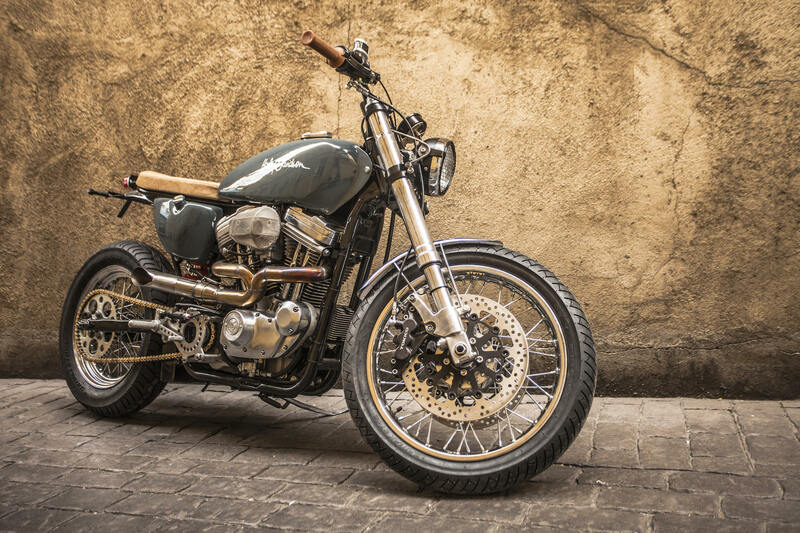 This build started with a brand-new 2018 Harley-Davidson Sportster 883, once the bike had been rolled into Pepo’s workshop the teardown began. 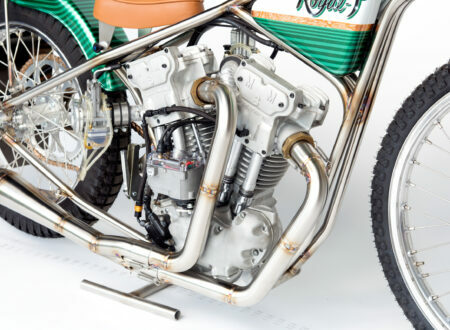 The engine was the first order of business, it was stripped and rebuilt to 1200cc, with ported heads, high-compression pistons, a high-performance camshaft, and a new Mikuni race carburetor. 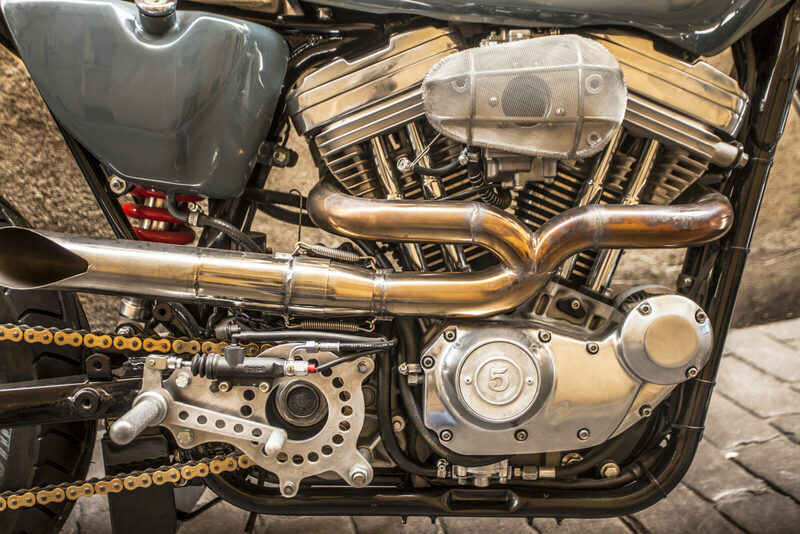 Ignition is now handled by a Screaming Eagle unit, and the engine breathes in through a high-flow wire mesh air cleaner, and out through a two-into-one Supermario exhaust. 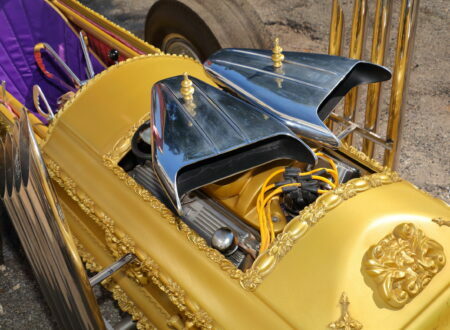 Once the engine was ready, attention turned to the frame. 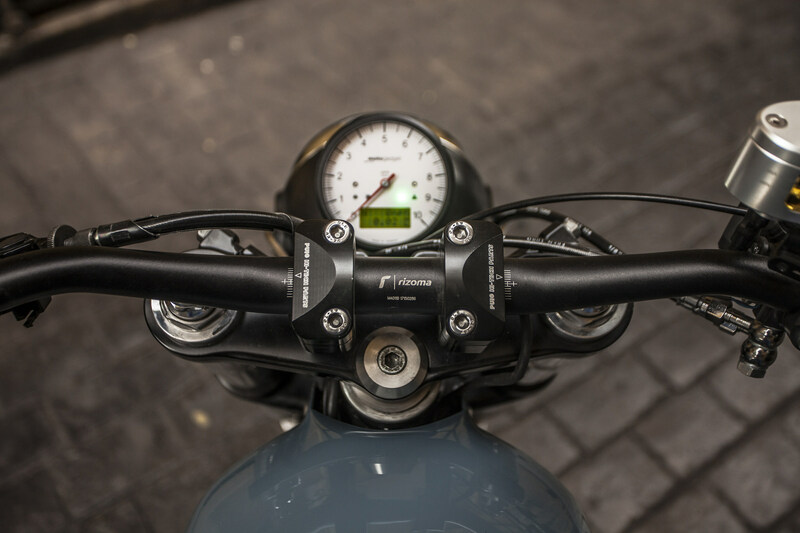 The original twin shock rear end was removed and Pepo fabricated a bespoke monoshock set up, using a custom-built Hagon shock absorber. 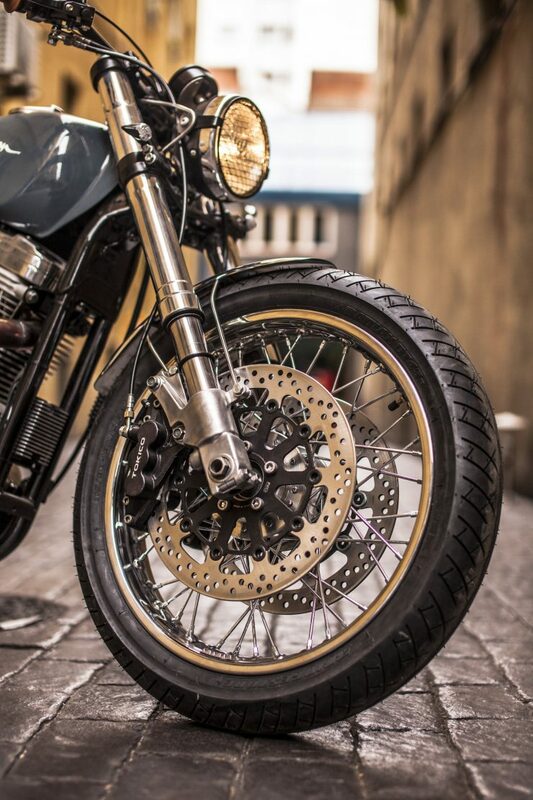 The front received similar treatment, the factory-stock forks were removed and replaced with a set of Suzuki GSXR 750 upside down forks and their calipers, matched with new NG brake rotors. 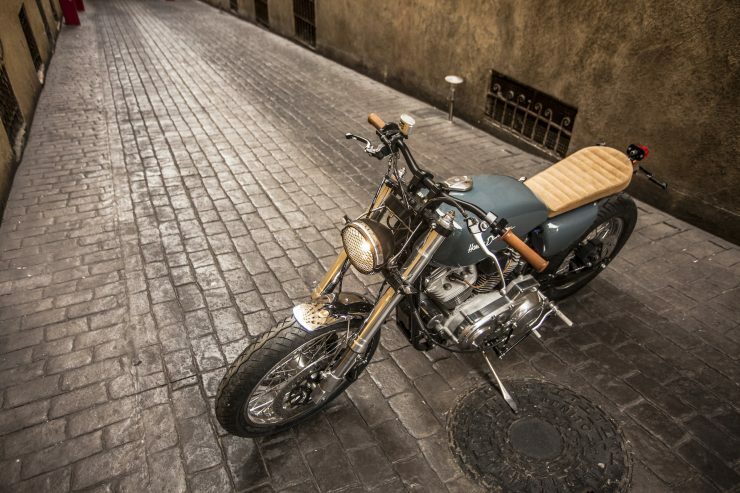 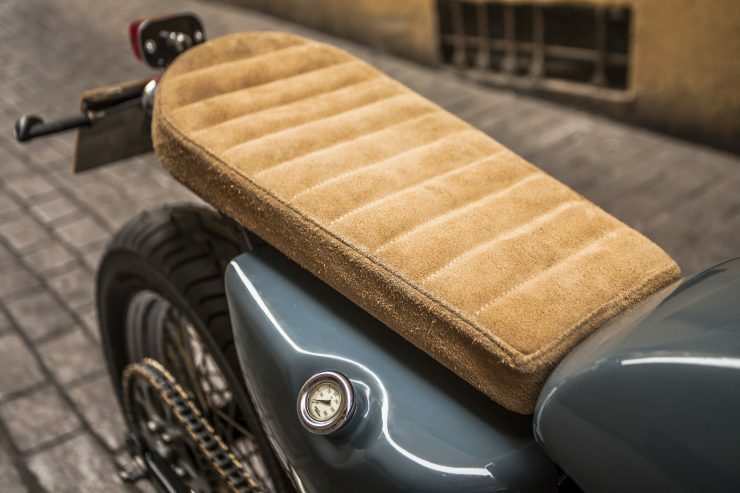 The original fuel tank and seat were removed to make way for a modified Yamaha SR500 fuel tank, and a handmade seat that was fabricated in-house by Pepo, with a seat upholstered in tan suede. 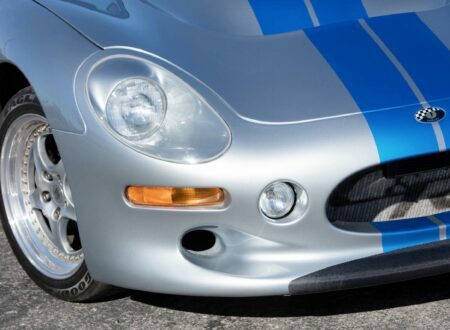 Custom cropped fenders were installed front and back, with a bespoke tail light tidy. 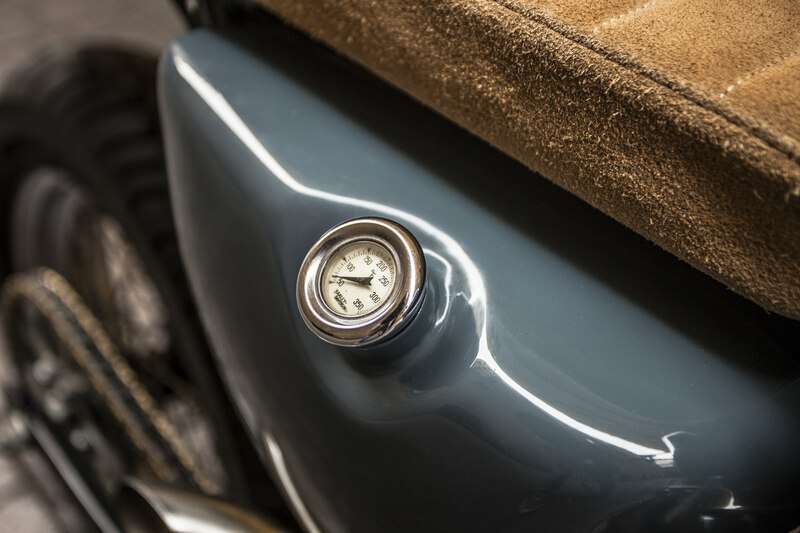 The stock oil tank was kept in place, and painted in the same grey hue as the fuel tank. A new headlight was installed and fitted with a mesh stone guard, and a set of Rizoma handlebars, capped off with Motogadget gauges. 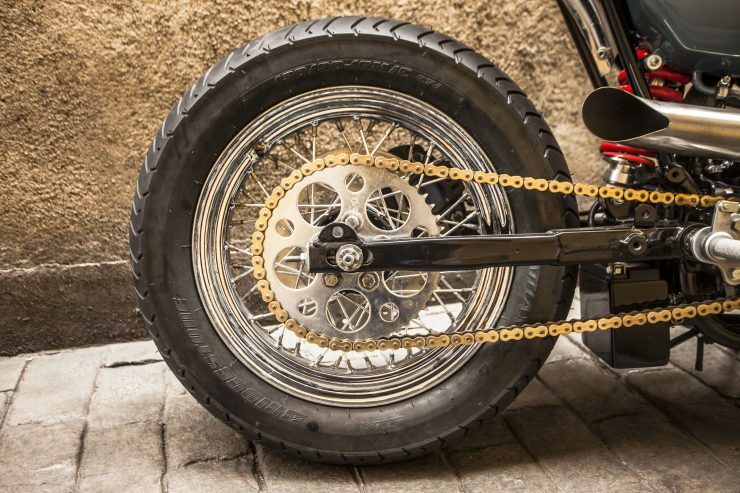 Last but not least, Pepo removed the belt drive and swapped it out for a chain drive, with a new lightened rear sprocket, and a lightened sprocket cover up front. 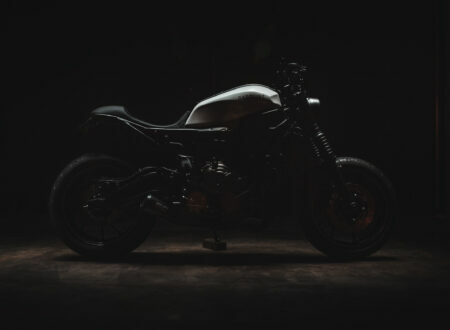 The completed bike is a testament to what a factory Sportster Tracker could be, and it’s hard to imagine any Harley dealership in the world managing to keep them on the showroom floor for more than five minutes before selling out entirely. If you’d like to see more from XTR Pepo you can click here to visit the official website, or click here to see all the other bikes from the Spanish garage that we’re previously featured on Silodrome.